The drawing has been revised and annotated in Soane's hand, with substantial erasures and redrawing. Some rooms are faintly annotated in pencil. 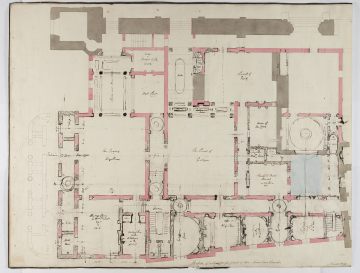 Several ideas expressed by Soane on this drawing appear to have been worked up on drawing SM 53/2/32.